The latest trailer for Star Citizen’s Squadron 42 recently dropped, looking gorgeous enough to make its many fans start throwing money at their screens. The latest trailer for the record-breaking crowd-funded title shows off a quite a bit, with allusions to its plot, a few seconds of gameplay, and a cast full to the brim of big names. Topping the bill are the likes of Mark Hamill, who’s set to pick up where he left off in the Wing Commander games of old. We also finally got confirmation that Henry Cavill, who was recently cast as Geralt of Rivia in the Netflix adaptation of the books, will join Hamill in Squadron 42 as pilot Ryan Enright. Cavill has pinned a clip of himself in the game to his Facebook page, commenting that he was set to “answer the call”. It’s honestly a pretty amazing cast, boasting some of the highest-profile actors we’ve yet seen in a game. But then I guess that’s what literally hundreds of millions of crowdfunded dollars can get you. 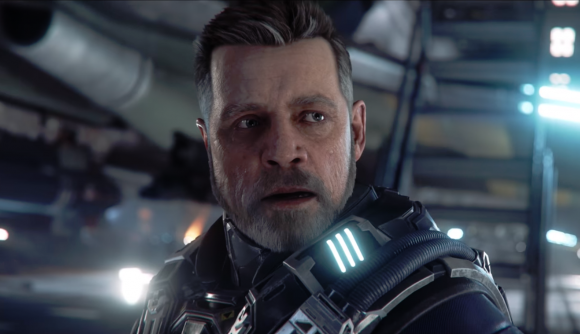 Between star power like that and the apparent excitement of Hamill’s fans on Twitter, Star Citizen – a huge space sim of which Squadron 42 is only the single-player campaign – stands poised to push gaming even further into the mainstream. The game is aiming for a full release in 2019, though no specific date has yet been announced.